Ahoy Sailor! Our Smiffy's Instant Sailor Kit comes with Navy blue Scarf and Hat. Great and affordable way to become a sailor at your next event. 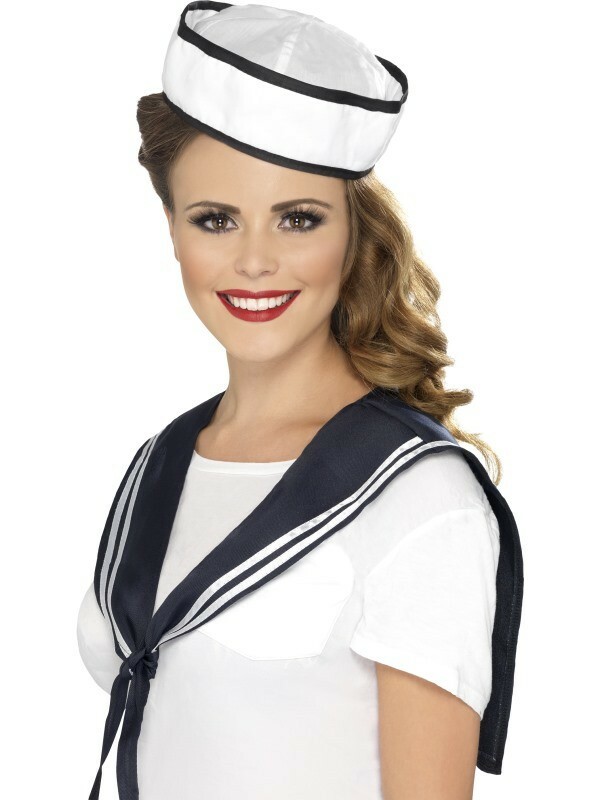 Our Smiffy's Sailor Instant Kit is ideal for those who prefer not to dress up in a full costume but don't want to be left out of the theme. The kit comes with a Navy Blue Scarf with white stripes and ties at the front. A coordinating White Sailors Hat with Black stripes finishes off the kit perfectly. This kit is a one size fits most.